The new Custom Report Writer includes a variety of templates which MLS members can use as starting points for customizing their own reports, or they can start on a blank page to build new reports from scratch. Users can overlay listing images in different sizes to highlight important features and amenities, increasing visual interest with customizable shapes, borders, and background colors. 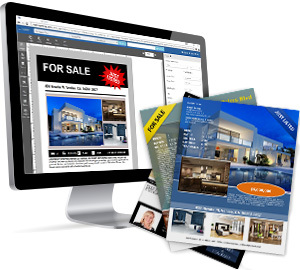 In addition to listing photos, Rapattoni’s powerful report designer allows users to add clip art from the MLS’s “royalty-free” library, or users can upload images to create a unique look. Once completed, reports can be printed, emailed, and shared with clients. To assist with the launch of the new feature, Rapattoni has presented a series of training webinars for MLS staff as well as brokers and agents. These webinars included tutorials on creating flyers, working with data fields, adding pictures, and more. Rapattoni Corporation has been serving the real estate industry for over 47 years. The company provides integrated products and services for real estate associations and MLS organizations, including an online MLS and association management software, along with hosting and technical support for each product. Rapattoni's association management customers represent more than 80% of the nation's REALTORS®. Rapattoni's headquarters are in Simi Valley, California.